E’ in atto una petizione per il rimpatrio di Noel Maguire. Noel Maguire è un cittadino Irlandese detenuto in un carcere inglese dal 2001. Per la precisone è l’unico prigioniero politico irlandese ancora rinchiusto in una prigione inglese. Noel ha richiesto il rimpatrio in Irlanda dove scontare il suo periodo di detenzione di 22 anni, per avvicinarsi alla famiglia ed ai suoi 2 figli che non vede da 6 anni. Il suo diritto al rimpatrio è garantito dalla European Covention on the Transfer of Prisoners e dal fatto di essere cittadino irlandese e quindi in possesso di passaporto irlandese. Per sei anni, Noel ha richiesto di essere rimpatriato in Irlanda. Il Dipartimento di Giustizia di Dublino ha ripetutamente negato questo suo diritto. Noel è detenuto in isolamento presso la prigione di Full Sutton, dove ha recentemente subito violenti attacchi nella sua cella e tutt’ora la sua vita è a serio rischio. 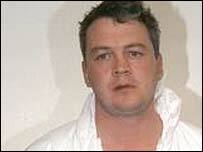 Noel Maguire is an Irish citizen who has been held in a British jail since 2001. Noel is the only Irish political prisoner still incarcerated in an English jail. Noel has applied to be repatriated to Ireland, to serve the remainder of his 22-year sentence in an Irish jail, where he can be closer to his family and his two small children, who he has not seen in six years. His right to be repatriated is guaranteed under the European Convention on the Transfer of Prisoners and by virtue of his Irish citizenship. For six years, Noel has requested to be repatriated to Ireland. Repeatedly, the Department of Justice in Dublin has refused his right. Noel has been held in isolation at Full Sutton Prison, and was recently brutally attacked in his cell. He is now living in fear for his life. As Irish Americans, we cannot see how the Dublin government can deliberately continue to endanger the life of an Irish citizen.